OK the power is back on (yet another Tuesday shutdown – grrrr!) and I used the down time to get this sorted. Hopefully it’ll make sense. The first thing you need is this PDF. 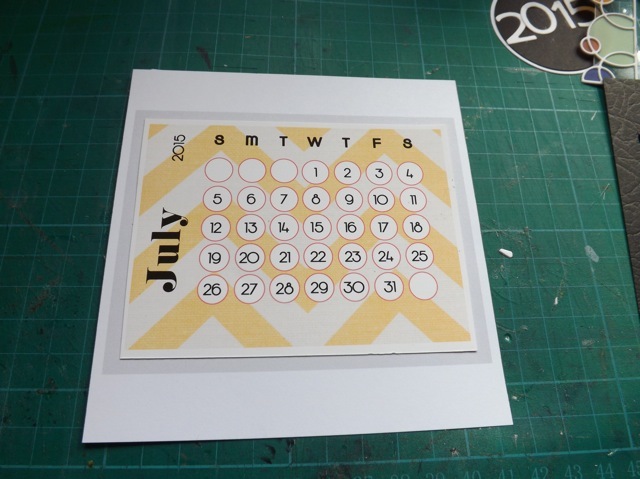 You can print it and use it as a template to cur the 12 blocks, one per month, you would normally need for a CD calendar OR (and especially if you are using commercial 3 x 4 cards that are already trimmed to size and corner rounded) you can print JUST THE PAGES YOU NEED as many times as you need, in your printer options. 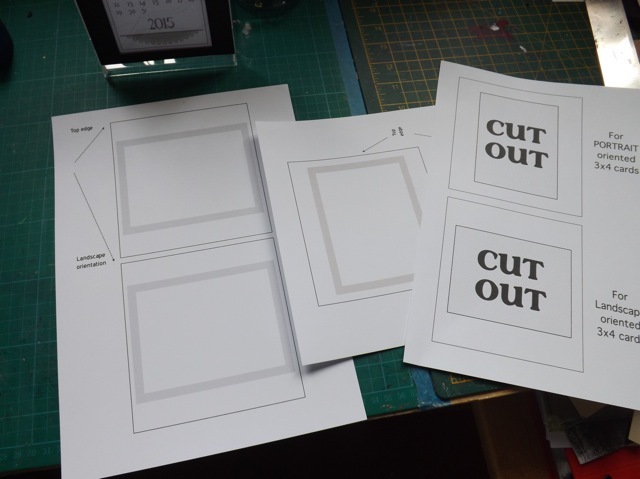 What you have are templates for cutting the frame the goes on the FRONT of the CD cover and the PAGES with the area where your printable or commercial card should be stuck. There is one small addition – although I noted on the sides which is PORTRAIT and which is LANDSCAPE, I’ve added a small faint grey P or L in the middle of the box. CD cases are NOT square. The templates are NOT interchangable. PLEASE read thru this once before cutting. 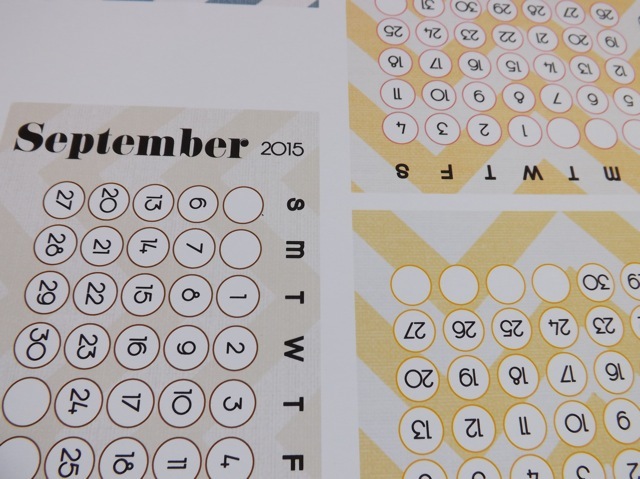 There are SO MANY printables, by SO MANY designers, each with their own little quirks. I’ve tried to mention some of the issues you might encounter, and how to overcome them. 1. 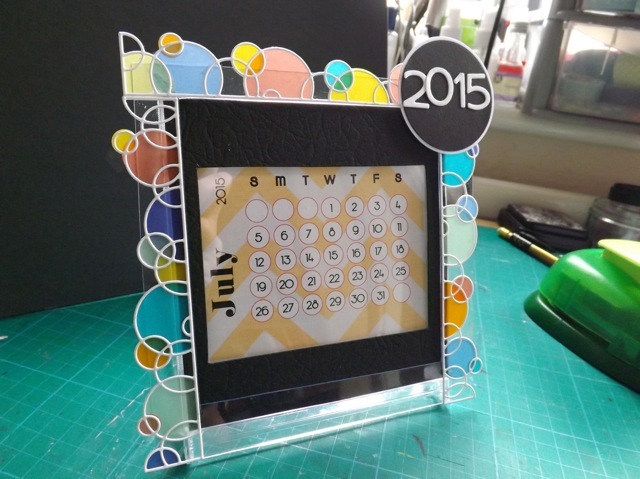 Cut the first page, the frame, from whatever colour cardstock you want – this will be seen for every month so pick something that works with them all. I used black. Don’t stick it to the CD case yet. Read step 3 before you cut. 2. 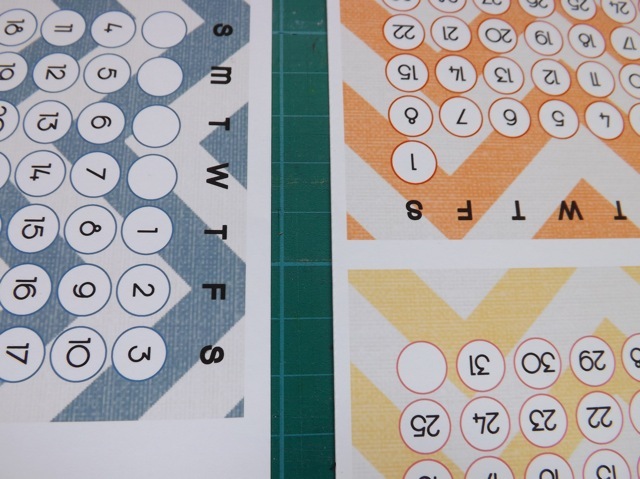 You can feel free to print the templates for the inserts (the GREY ones) 6 times and then cut them out, or just use one as a template and cut them out of cardstock. 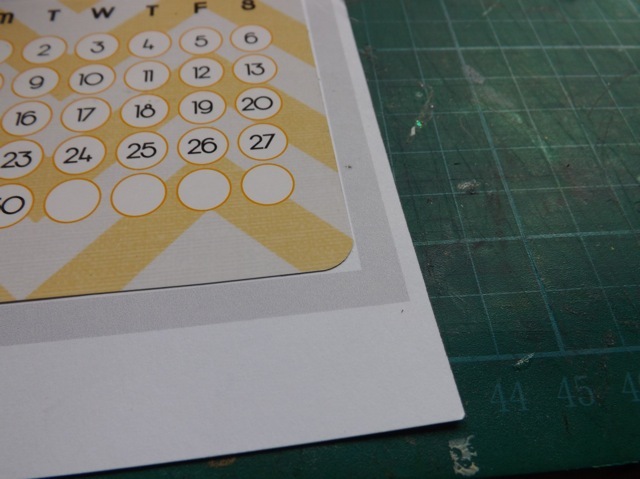 IF you are using commercial (bought) PL calendar cards, you will want to print the BLACK version as many times as you need. The commercial PL cards are slightly smaller that 3 x 4 and are pre-rounded. On the template with the BLACK box, the box is slightly bigger. I noticed that if you try to add a rounded corner card to the grey templates you were going to see the white. With the black box, it looks better! 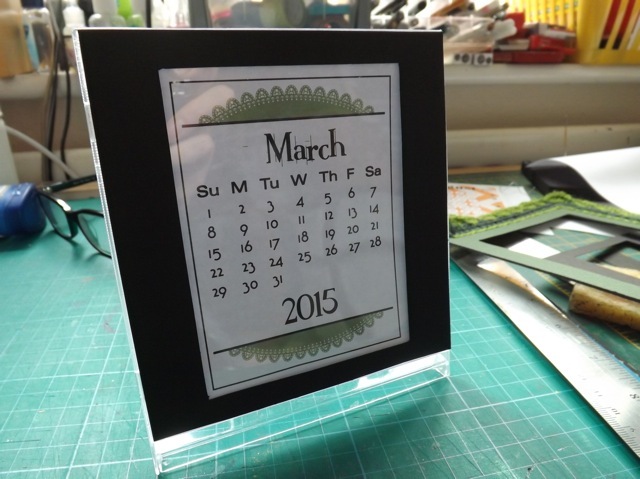 I think even with a different colour frame, the black edge would be OK. If not, see if cutting the opening slightly smaller helps. 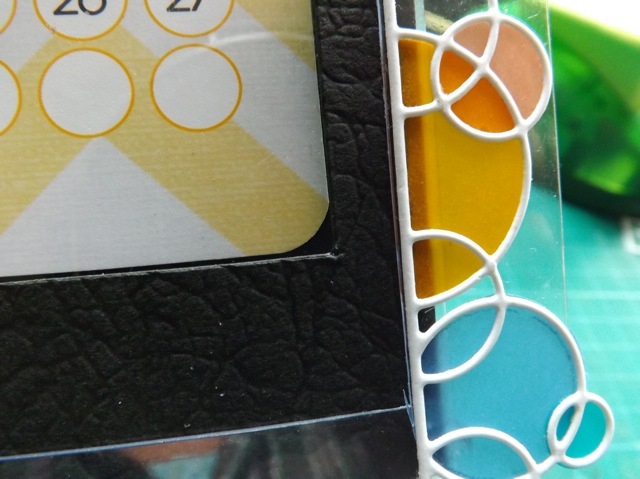 another solution might be to cut the inserts from black or coloured cardstock, depending on what works best with the cards you want to use. 3. 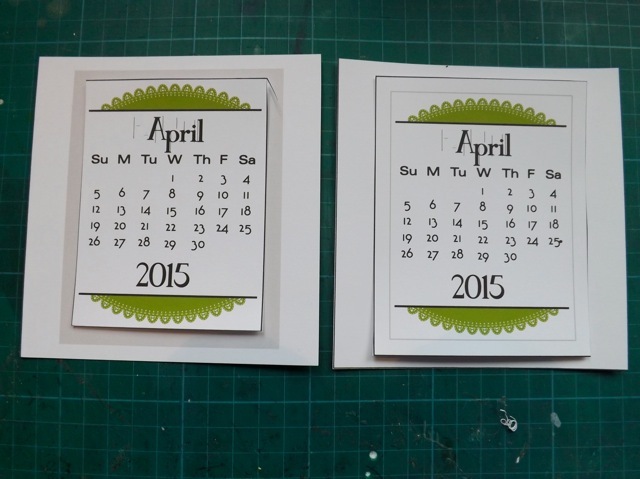 Print and cut my calendar printables if you are using them. The recent set I did, I created four to a page, rather than my usual 5 to a page, and with an extra border. Some US designers, I believe, put 6 on a page, because the US letter paper is wider than UK A4. 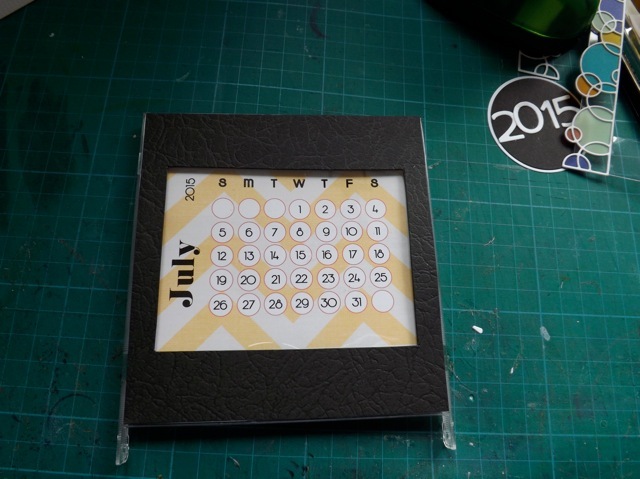 Cut along the OUTER (black border) for making a CD calendar, or along the INNER grey border if you want to use them for PL cards. You can find the download back a post. If you cut the cards as if they were for PL books, you may see the edges thru the frame. If cut as a PL card, the card will fit in the white box. 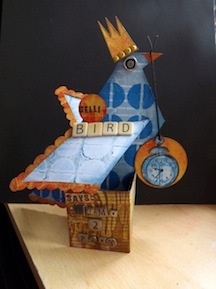 Cut with a border it will fit in the grey box. I didn’t want to cut the frame smaller, lest you lose something important on the printable, BUT you can cut the opening in the frame slightly inside the lines, so the frame overlaps the card. 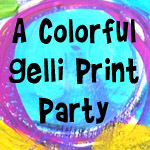 I think you need to look at the printables you want to use and see if that would look OK. If the print has a border, ANY border around the cards will help. For mine, I just split the difference. When mounting them to the inserts, I tried to centre them as best I could. Once you have the first one done, check the position with the frame in place. If it all looks good, stick the frame to the CD case. You can then use the first insert to check the positioning of all the rest. 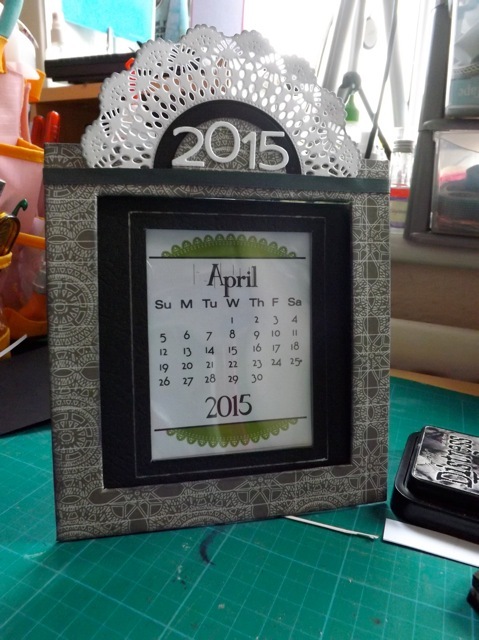 Once you are done, you can add the decorative topper frame. 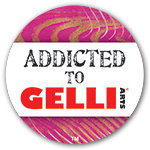 Hard to see, but for that one I used a die and some vellum circles. The topper frame is cut from some packaging, so it’s clear (you can see there at the bottom of the frame) because I wanted to see thru the vellum. 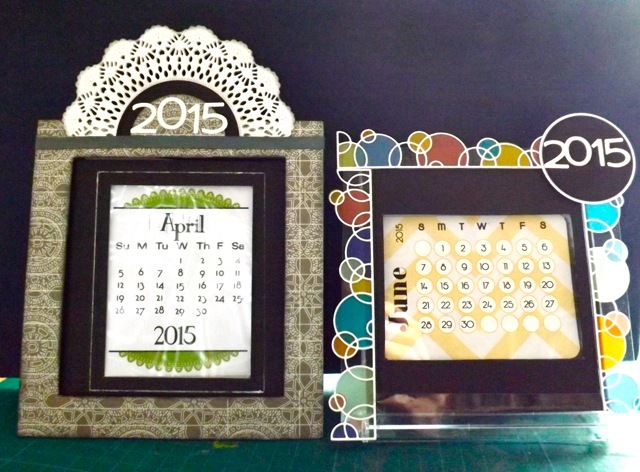 Here are the two I made from my 2015 printables. Gosh. Too many variables, but I hope I’ve explained it well enough for you to use ANY printables (or commercial PL cards) to make a CD calendar.